After a day that included swimming 2.25 kilometres and walking about 15, we are finally getting a moment to rest out on the terrace sun trap. And we've even got sun for a few minutes, which is nothing short of miraculous given the weather in Brussels over the past six or seven weeks. 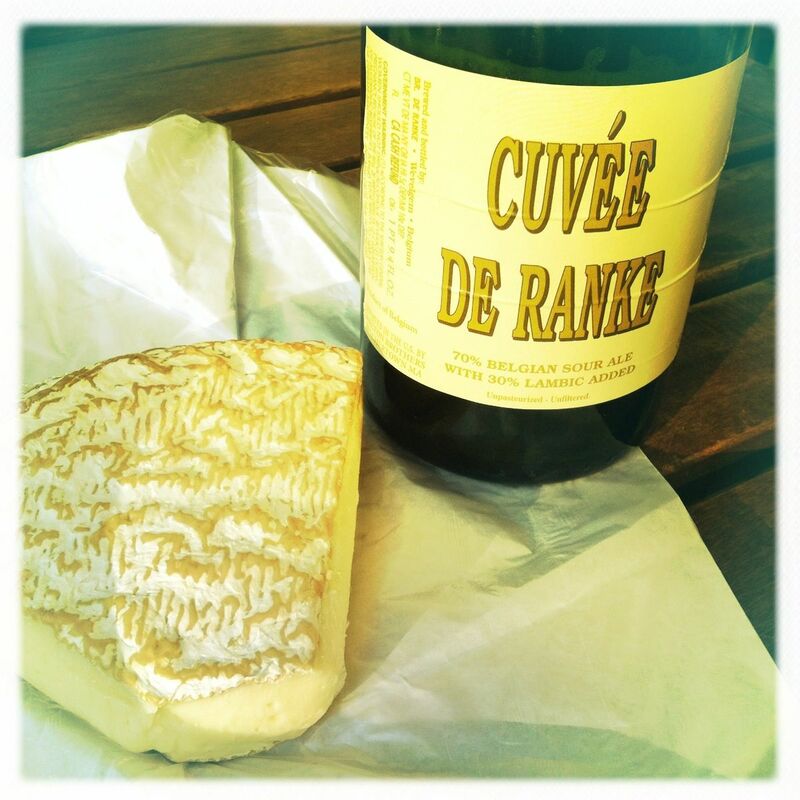 Somewhere in our travels, we found a great new cheese shop that also sells De Ranke beers, so we bought some Sainte Meuere and some Brie de Melun fermier along with a bottle of Cuvée de Ranke. Now we're home, and it could just be that we're exhausted, but it all seems a perfect combination. Cuvée de Ranke pours a copper orange with a very subdued head. The initial aroma is like a lambic: piss and vinegar. The first taste is urine-tart, to be honest, but it's not off-putting, if that makes sense -- and if I haven't lost hold of my senses. Seriously, the sourness is absolutely lovely, and it scours through the cheese coating your tongue like nothing else I can imagine. No wine has the strength of sharpness to do that. Add to that notes of dried apricots and pineapple, and you really have something special here. If you are looking for a straightforward beer that doesn’t challenge your senses, then don’t bother, but for everyone else, find a bottle of this and buy some quality cheese to go with it.